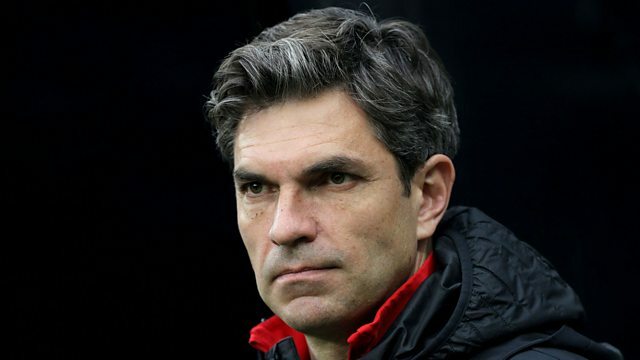 Mark Chapman presents reaction as Southampton sack Mauricio Pellegrino with the club only a point above the relegation zone. Former Southampton defender Francis Benali gives his reaction, saying he hopes it's not too late in the season for the club to turn their season around. There's also reaction to Man City's 2-0 win at Stoke, and Jason Burt of the Daily Telegraph and Robbie Savage discuss Gareth Southgate's squad options ahead of England's friendlies against the Netherlands and Italy later this month.